You are here: Home / Scrapbooking / Copic Markers / COPIC FAQ Part 2: What is the Best Cardstock to Use with Copic Markers? This post is part two of a Copic Marker FAQ’ Series of posts from May of 2014. Part one be found here and part three here. We’ve been discussing this topic in one of my Facebook groups and I thought it would be helpful to compile a list of the most widely recommended copic quality cardstocks in one place for reference. Gina K Designs Pure Luxury – This is a very popular cardstock which I use for both card bases and with copic coloring. It is very thick and high quality paper, as a matter of fact it is, in my opinion, the highest quality available. You can purchase it here. This is my personal favorite for copic coloring. X-Press It Copic Blending Card – This cardstock has a silky smooth surface soaks in ink without feathering, keeping lines crisp and colors vibrant. This is one of the most used cardstocks for stampers. You can find this cardstock here. This is my 2nd personal favorite for copic coloring. CC Designs Copic Quality Cardstock. It comes in 80# as well as 110# and I find that my copics blend extremely well on this paper. If you are printing digital images you will want to choose the 80# as it is thinner and will go through most printers. If you are coloring directly onto the card front you will want to use the 110# paper as it is less likely to bleed through. CC Designs also offers 80# copic quality cardstock in Ivory. You can find these cardstocks here. Papertrey Ink Stamper’s Select cardstock – This 110# cardstock is a sturdy, bright white cardstock that is another favorite among stampers and very affordable as well. You can find it here. Neenah Classic Crest Solar White – This is one of the Copic recommended cardstocks and you can find it here. Xpedx Hammermill – Color Copy Digital Cover 100lb – A durable cover weight sheet designed specifically for color copiers and color laser printers. Comes in 60#, 80# and 100#. You can order samples here and you can purchase it here. 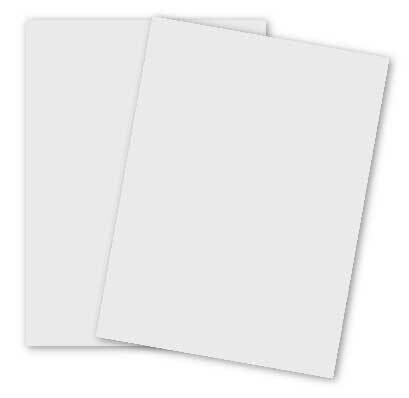 Flourishes Classic White cardstock – This cardstock is bright white, has a smooth surface and blends well. It is a heavy weight cardstock in, 270gsm/110lb. You can find it here. Copic Stamping Illustration Paper – This is a thinner, off-white paper that blends and is often used in layering. This paper is recommended by Copic and you can find it here. Hammermill’s Color Copy Digital Cover Cardstock, Must be the 100# kind (green frog on the front) – This was recommended to me by a blog subscriber who says alcohol markers blend like butter and it is much less expensive than other brands. Choosing the right cardstock to use with copic markers all comes down to personal preference so I would suggest choosing a few different types, buying a small sampler size pack of each and giving them a try. Also, there is a blog post here that explains how to test your cardstock to see if it is Copic quality or not. COPIC FAQ Part Three: What inks can be used with Copic Markers? Can i add Xerox Colotech+ Gold cardstock to your list? I’ve been using it for the last 6 yrs with my copics and love it. Have you ever tried Stampin Up whisper white? And if so how does it compare? I have been having pretty good results with it. I have not. Thanks for sharing.